PIX11 reports that both the Kings County (Brooklyn) District Attorney’s office and the New York State Attorney General are investigating possible criminal activity by SUNY Downstate’s management in its efforts to shut down Long Island College Hospital. The DA got involved at the urging of Justice Johnny Lee Baynes of the New York Supreme Court, Kings County, who issued injunctions prohibiting SUNY from shutting down LICH, beginning in February. As the PIX11 story points out, once LICH has been closed, it will be prohibitively difficult to re-open it as a hospital. The story also notes that, when St. Vincent’s Hospital was closed, Greenwich Village and nearby residents were promised that an emergency care facility would be sited nearby to serve the community. That promise has not been kept. I was in the Emergency Room at LICH today, my girlfriend had a kidney stone, so we took a car service there, and we found the care to be excellent, and the staff were very nice. But there were very few patients in the Emergency Room, most of the beds in the ER were empty due to SUNY’s recent actions. And I can confirm from my experiences today that ambulances are STILL refusing to bring patients to LICH. How ridiculious — and what a waste of our civic resources. This hospital has EVERY RIGHT to close. Plus, it is a dump! Sad that the unions have our polititions and others in their back pockets. You’re next on their list, LoL. The appearance problems are part of Continuum and now SUNY’s mismanagement. But just because it looks bad, doesn’t mean it doesn’t provide life-saving care – or that it can’t be financially viable. In fact, LICH should make money with competent management, especially since the unions you demonize are ready to restructure to protect their members’ jobs. Don’t know if you live in the area, HenryLOL, but don’t be so glib: that could be you next in an ambulance diverted to Methodist. 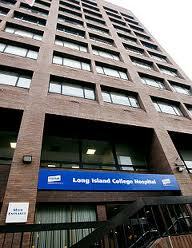 LICH needs restructuring and better management, but closing it is a terrible blow. Governor Cuomo should step in and work out a deal to save the hospital. Once again, Henry Lol doesn’t know what he talking about. We’ve used LICH a few times — twice admitted by docs, and twice through the ER. Every experiece successful; ambience efficient, clean & respectful. Got aphone call today from one of our doctors to inform of a move to Brooklyn Hospital. No thanks. This is really a tragedy for the neighborhood. Where is Cuomo? It is our elected govenor who is responsible. No one has the guts to call Cuomo on the carpet. He calls the shots and it is Cuomo who told Downstate to close LICH as soon as possible. I have some ideas to be fleshed out by…anyone who wants to. 3-start a hospital coop, buy it from SUNY Not sure how this would work but someone should be able to figure it out. These are off the cuff ideas to spark discussion and perhaps lead to a viable solution because we do need a neighborhood hospital. I hope the right thing is done here. They continue to be in contempt of court with no consequence. If I were in contempt of Court I would be brought to Riker’s Island…. Cuomo should be called out along with the rest of them. this has gone on way too long. Why do the tax payers not have a voice in these matters? As Brooklyn Heights/ Cobble Hill residents we taxed at a higher rate and they want to take away our hospital? And we would sit by and allow this to happen? In the end it should remain a hospital. This has gone on far too long. He would be lucky to get to Methodist! The EMT will take you to Brooklyn–good luck. “dump” it is not! I was admitted last November through the ER and spent a week at LICH. Great doctors and the best of care from the wonderful staff! when was the last time you were treated there LoL?? LOL’s real problem began when LICH closed the Psych unit and LOL ran low on meds. I think it’s clear that Cuomo and SUNY are incapable of managing this hospital effectively, but closure isn’t the answer. Keep it open and transfer it to someone who knows how to manage a hospital! That’s the only answer. Unbelievable — This is what LICH looks like today as SUNY attempts to illegally close LICH — the RNs and caregivers are locked down by the NYPD. Note: This is a reprint of a tweet from Itgirls4Revolution. Time for Dr. John F. Williams to go to the can. Understand that LICH, SUNY’s plan is to turn LICH, a premiere medical teaching facility, #2 hospital in Brooklyn with multiple highly ranked specialities & national recognition into another Victory as it is now. Nothing wrong with it except there are a lot of things for which a person must be admitted to a hospital. Methodist & Brooklyn Hosp cannot handle the load of patients who need to actually stay in a hospital. People are waiting 2 days to get in a bed. Brooklyn needs LICH. #1 good idea but Methodist already said no to that. It seems that 2 miles is not too far for a patient to travel in ambulance for life & death emergency, but it is too far for Methodist doctors to travel from Park Slope. Hmmm. That was like this from the early morning when the cops set up for the Brooklyn Bridge funeral march & thought it was starting at LICH. Captain Schiff was there too. This shows only a few of the cop cars that were out there. Police were posted on the sidewalk, lined up every few feet around the hospital. Dozens of guards & armed state police were in the lobby, halls, & posted at every door & on both sides of every exit all day. Visitors were all stopped & escorted to where they were going in the hospital. At some point, with all this going on, an elderly patient “disappeared”. We are expected to believe that he was the only one who wasn’t stopped in the hall or lobby to explain where he was going. We are expected to believe that this little old man just walked out on his own in the midst of all this. Whoever put him on a bus & then called a silver alert made a false police report & needs to be arrested by one of those cops right there. There’s not fancy art work on the walls or carpeting in the rooms but it does not look “bad”. Just needs some updating. SUNY was given millions in grants to help them do that. They did nothing. A $65 million renovation was never completed. On Aug 5th they’re supposed to be in Supreme Court explaining to Judge Demarest what exactly they did with the money, among other things. To have any kind of effect, all these comments should be said to the governor. Governor? Mayor? The people have neither.